There are a lot of natural products and products that claim to be all natural. But today’s giveaway is the truth. We all know what a rough winter we had (it’s amazing we’ve finally stopped seeing snow in the DC area). My skin is already dry, so this winter didn’t help at all! I tried scrub after scrub and face wash after face wash followed by a crazy amount of moisturizer and raw shea butter…my skin would still flake and dry up by mid-day. Enter Intelligista Naturalista‘s shea butter soaps. These soaps have been a godsend and my skin has never been better! They all smell amazingly delicious, but it’s even better because they work as well as they smell. I’ve tried just about all of them, and they are all great but my ultimate faves have to be the grapefruit and mango and the lavender. 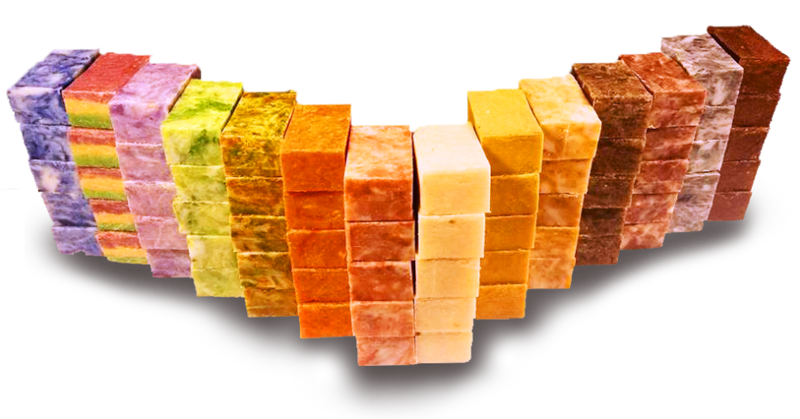 And to confirm this is not your average natural soap bar, each bar weighs in at a hefty eleven ounces, so you get your money’s worth because they last! I LOVE shea butter, especially in the summer to help keep my skin from drying out and peeling after exposure to the sun. And scented shea butter? Yes please! I can’t wait to try it as a soap! I would love to try the Mango soap-I can only imagine that it smells heavenly. I love lavender, especially. I like ocean scents and grass! Love this soap. The mango smells fantastic! Grapefruit & mango! And citrus grove. I would love the grapefruit mango! Whooo! Mango, ginger tea, grapefruit mango… Yeah. Pretty much all of them!